Before going further, I’ll stipulate that I have never been pregnant and never will be. I’m a man. I’ve been scolded occasionally that this disqualifies me from having an opinion on abortion (unless my opinion is unequivocally in favor of it). That’s baloney. It’s like saying that I cannot have an opinion on animal abuse unless I own a pet. It’s like saying that a woman cannot have an opinion on the killing of a boy because she was never a boy or because she has only daughters. It’s a stupid argument. And it’s also a callous one. It’s premised on the fact that a man does not experience the nine-month inconvenience of pregnancy. But is that really the basis upon which such a decision should be made — convenience? Back to the question at hand. What is a fetus? Let’s start with the science. One scientific fact is that those cells multiplying by the minute which we call a “fetus” are indisputably alive from the moment of conception. Nonliving cells don’t multiply. The question is therefore not about when life begins. So the fetus is alive, but what kind of life is it? Some contend that it’s not a human one. It’s just a blob of cells that happens to have the shape of a baby. But another scientific fact is that in the absence of an abortion, this particular “blob of cells” would normally become what they already look like beginning about a month after conception — a baby. Indeed, that still occurs in about 80 percent of the pregnancies in America. The purpose of the abortions in the other 20 percent is to head off that eventuality. Let’s apply some logic. Given that this “blob of cells” will indisputably become a human, when and how does that happen? Does it happen upon expiration of a requisite period of time — like three months or nine? Or when it learns to talk, or upon enrollment in kindergarten? Or does it happen when the woman decides that it happens? If that’s it, then the cells are just a “blob of cells” until the woman decides she wants them to be a baby, at which time they transform into a baby. (Does this work for blobs of cells in the back of her refrigerator, too?) But if she changes her mind, they transform back into a “blob of cells.” But if she changes her mind again, they become a baby again. Logically speaking, that can’t be right. Things are what they are, not what we want them to be from time to time. Apart from being logically untenable, such an approach is morally troublesome. If mere cells become a baby because we wish it, and then the baby becomes mere cells again because we change our minds, then why not toddlers, teenagers and old folks, too? So science, logic and morality all point to just one intellectually honest answer to our question. 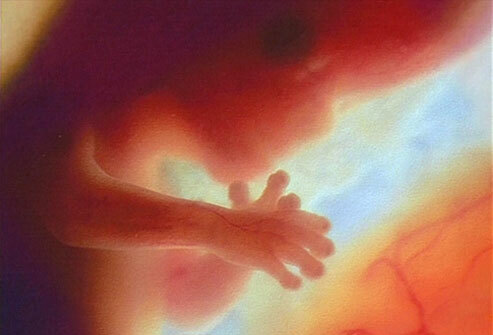 Since there is no identifiable point when these living cells become a human, they must be one from the outset. The fetus is what it looks like — a baby. But now we get to the hard part, the balance of interests. Many of the million abortions a year in this country — and 57 million since Roe v. Wade — are simply methods of birth control. But some are for other reasons. For example, some are to avoid bringing into the world a baby that is unable to function and perhaps unable to live. Those particular babies are no less human, mind you, unless you contend that a less perfect human is less human. But life is complicated, and circumstances are relevant. We often must balance different interests. Here we balance the interests of not only a mother but also a father, society at large and, yes, an unborn baby. The balance I personally reach is one that I don’t like much, but I don’t like the alternatives, either. I conclude that there are certain circumstances that justify ending the life of an unborn baby. Reasonable people may differ about those circumstances. We should talk about it in a civil way. In any event, we should not dodge tough discussions or trivialize hard decisions or tip the scales in delicate balances by pretending that the innocent human life at stake is just a “blob of cells.” Our hearts and minds — and our eyes — tell us it’s a baby. As for Planned Parenthood, some of what it does is good. But its behavior in those videos is sick and sordid. Wherever you draw the line on abortion, no one should be born alive for the purpose of having its still-warm brain extracted through its face and sold. This entry was posted in Uncategorized and tagged abortion, fetus, life at conception, planned parenthood, planned parenthood videos by onthebeatontrack. Bookmark the permalink.